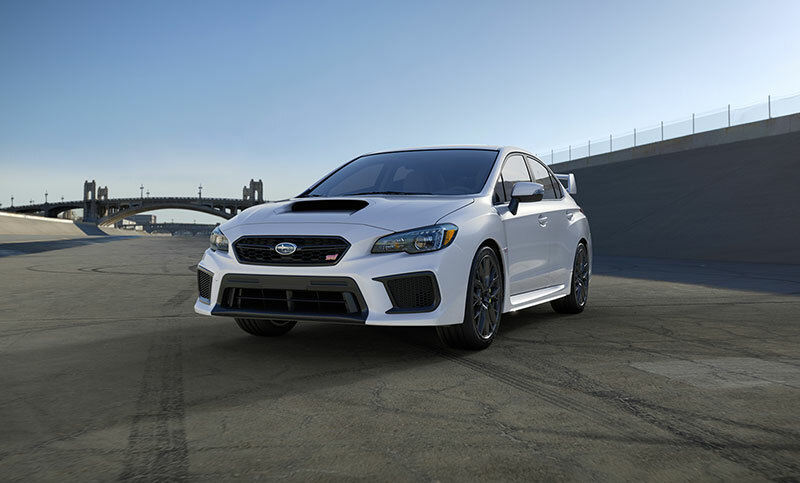 WRX Premium with Carbon Black Checkered Cloth. 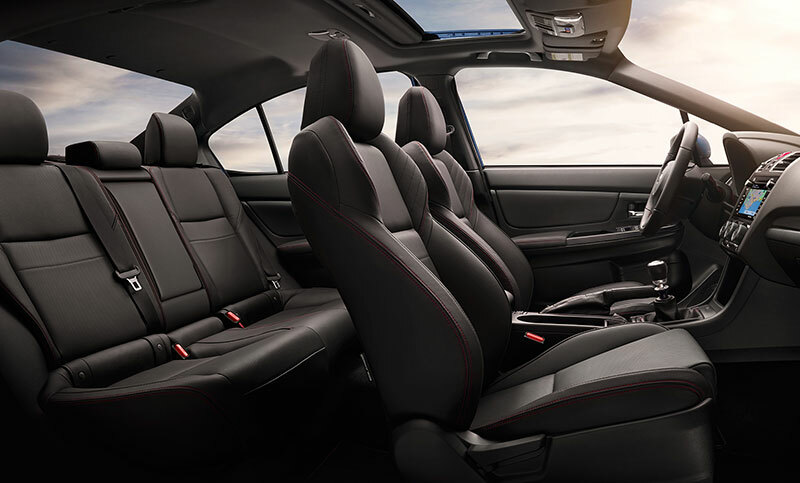 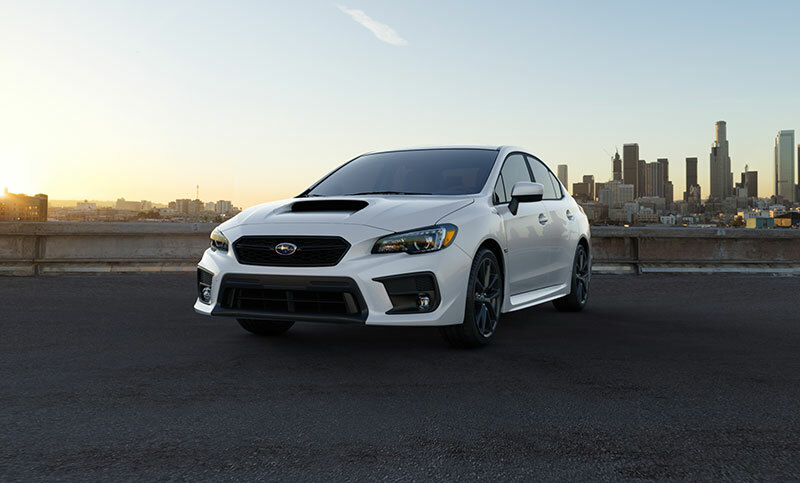 WRX Limited with Carbon Black Leather and optional equipment. 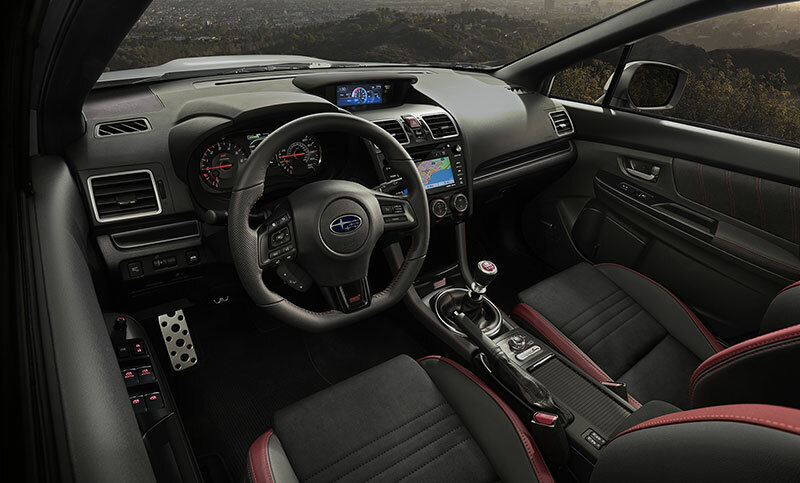 WRX STI with Black Ultrasuede®/Carbon Black Leather. 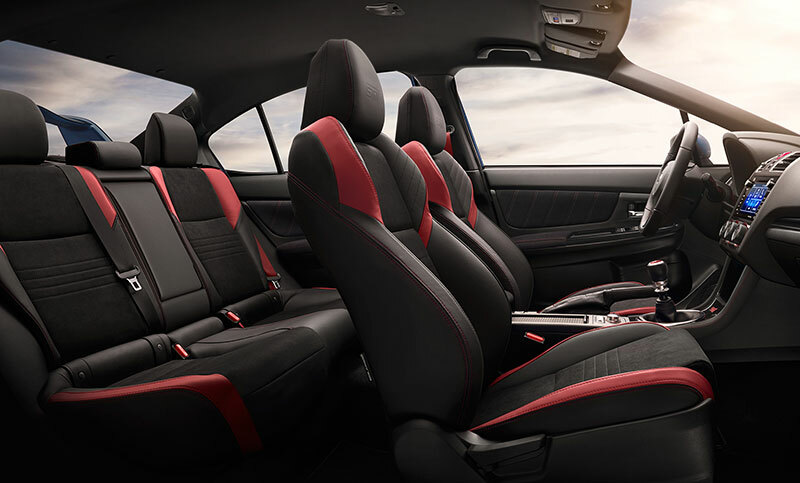 WRX STI Limited with Recaro® Black Ultrasuede®/Carbon Black Leather.